Nowadays, bubble tea is an indispensable drink in people’s daily life. Since bubble tea has been known by people, bubble tea kiosk has sprung up, and more and more people are familiar with and love bubble tea. So, how about opening a bubble tea kiosk now? Can you still make money as before? 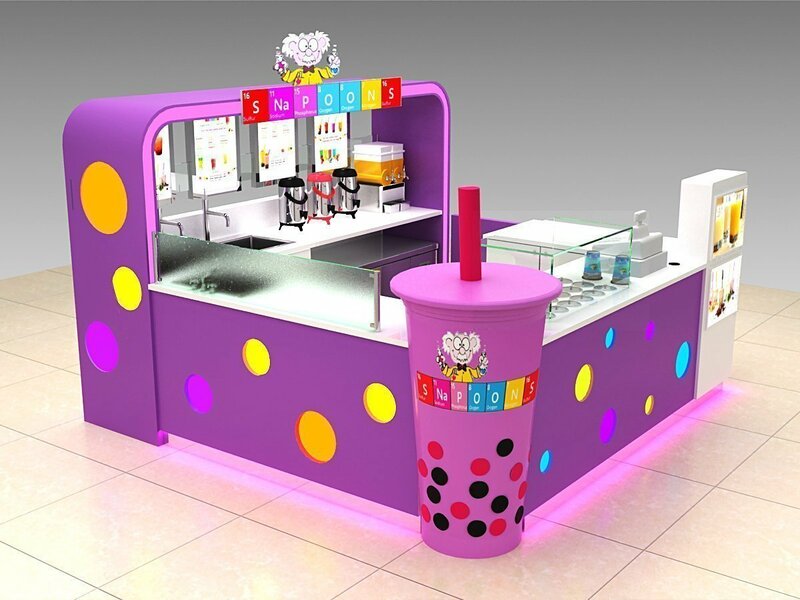 Although the number of bubble tea kiosk is already large and the market is fiercely competitive, this situation is only in big cities. In many shopping malls, the number of bubble tea kiosk is still small. And the market development space is still very large. As the income level of people in small cities continues to increase, bubble tea will become an indispensable drink for more people in their daily lives. Therefore, opening a bubble tea kiosk in the shopping mall is a good choice. 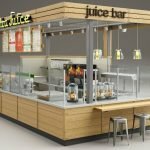 As long as the business is good and the reputation of the bubble tea kiosk is constantly improved, the business will get better and better. 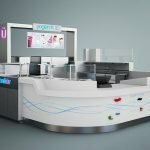 So, how should I open a bubble tea kiosk? A good design will be better for your bubble tea business. 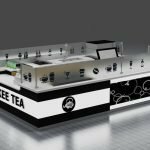 Please see the above pictures, the size of the bubble tea kiosk is 3 x 3 m, materials MDF with baking paint, 8 mm tempered-glass, LED strip lights, 3 D Acrylic luminous logo etc. This design is very colorful and attractive with the cup shape. I like it very much, and you? 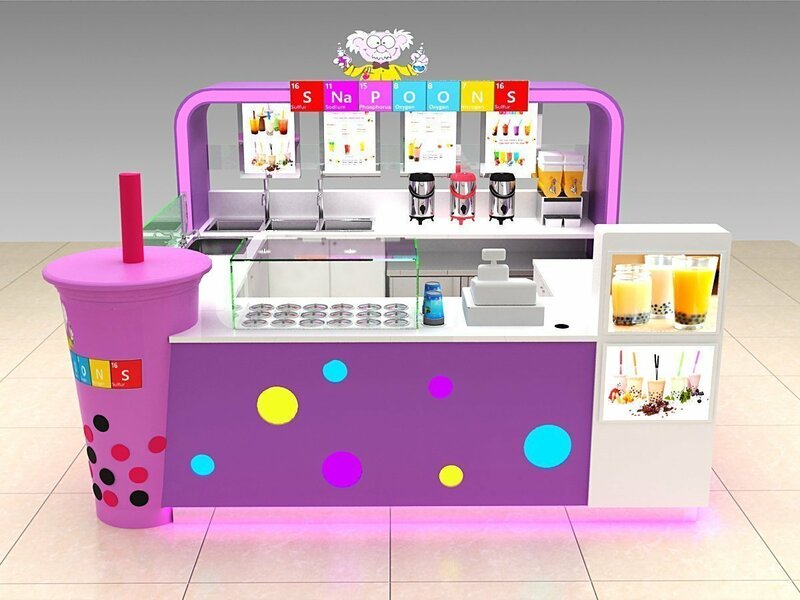 In a shopping mall, open a bubble tea kiosk, choose to open a place with a large flow of people. Either a local commercial pedestrian street or a big shopping mall. As long as you choose the right location, it is half the success, because the better the location. The more potential consumers, the better the business can do. 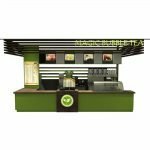 Shenzhen Unique Furniture Ltd can offer you the best service to customize your own bubble tea kiosk. 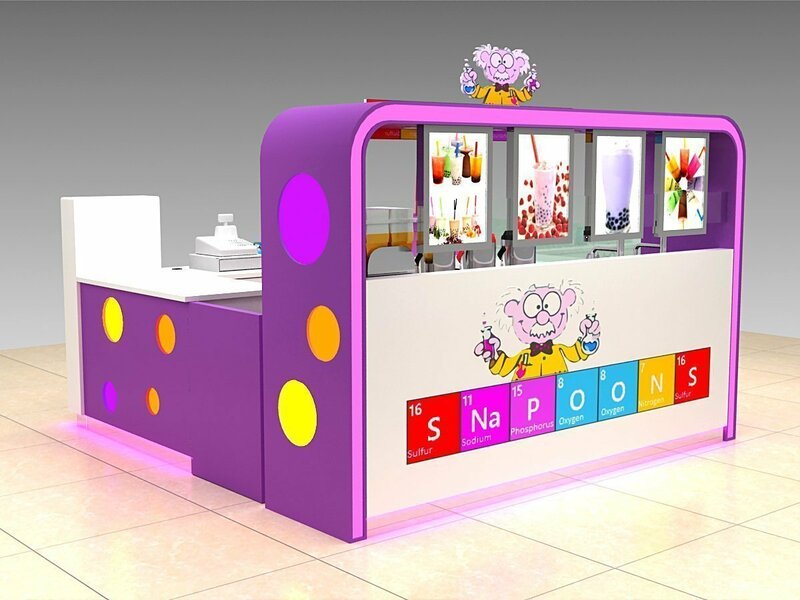 If you want the bubble tea kiosk like that, please feel free to contact us on Email: sales20@uniquekiosk.com.